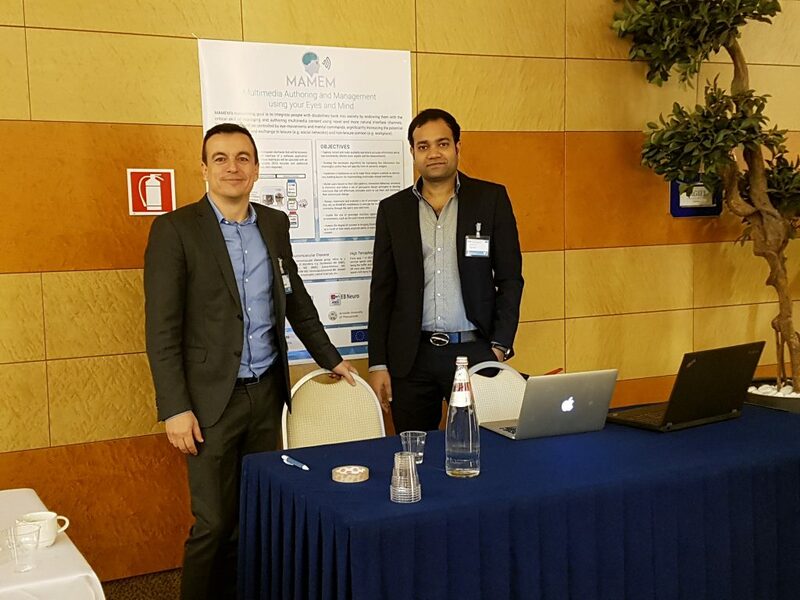 MAMEM was demonstrated at the International Conference On Duchenne And Becker Muscular Dystrophy in Rome, Italy. Nearly 600 families from Italy and the world gathered to learn about the latest progress in the fight to end Duchenne. Patient Organizations, Regulators, Companies and Clinicians were present to update the community for the latest research and technologies. MAMEM’s prototype GazeTheWeb, which allows hands free Web navigation, was demonstrated at a booth to the interested conference audience. Parents found the technology very interesting, and consider GazeTheWeb a useful medium for their kids to access and interact with Web.